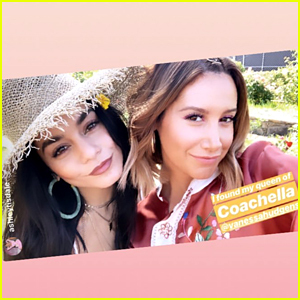 Vanessa Hudgens & Ashley Tisdale Found Each Other at Coachella 2019! | 2019 Coachella Music Festival, Ashley Tisdale, coachella, Vanessa Hudgens | Just Jared Jr. The first weekend of Coachella would not be complete without a photo of Vanessa Hudgens and Ashley Tisdale together and thankfully they gave the fan what they wanted! 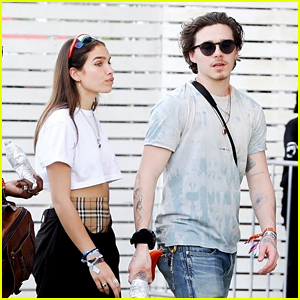 The former High School Musical co-stars met up while enjoying the festival this weekend in Indio, Calif.
“I found my queen of Coachella,” Ashley captioned the photo of them together on Instagram Stories. Many people consider Vanessa to be the Queen of Coachella as she has been rocking amazing fashion at the festival for many years. “Lookie who I founddddd,” Vanessa captioned a pic of Ashley fanning herself. 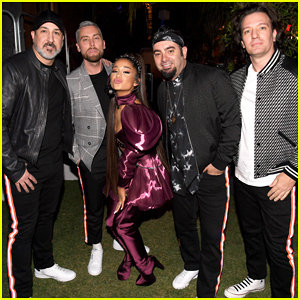 We love seeing them together!